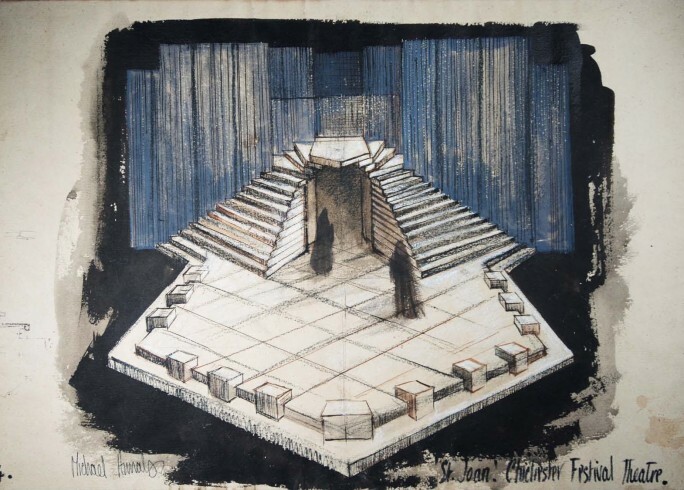 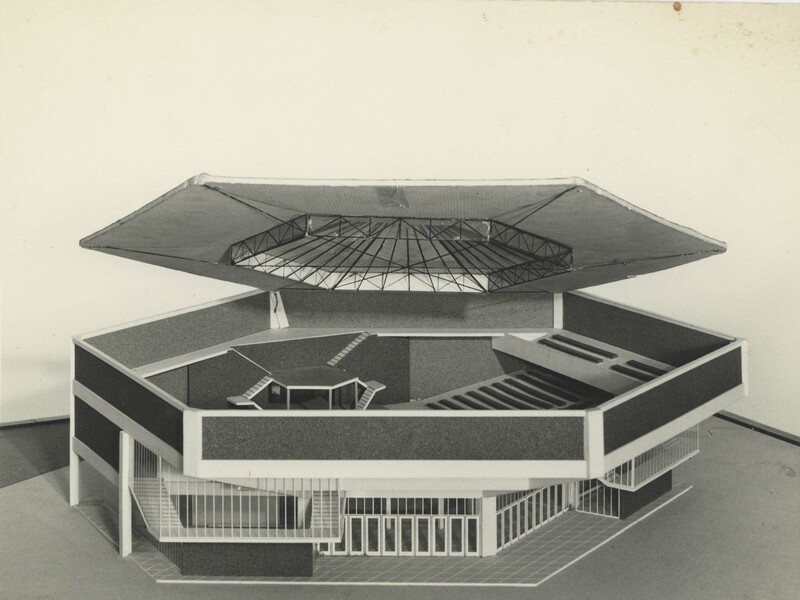 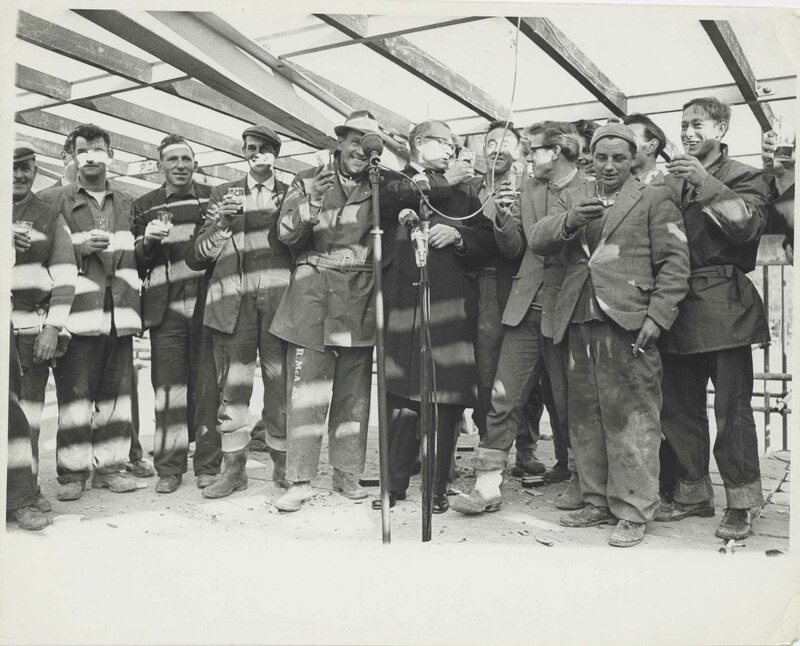 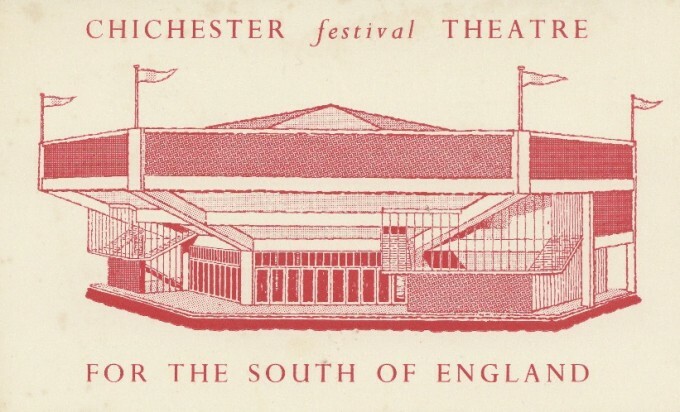 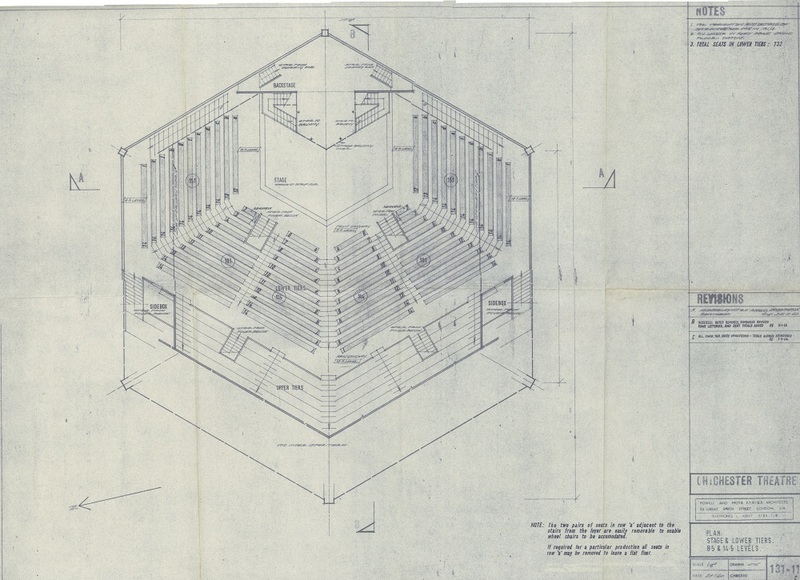 As part of early fundraising initiatives, people were encouraged to buy a bag of cement to help build Chichester Festival Theatre, concrete being a key material used in the original building. 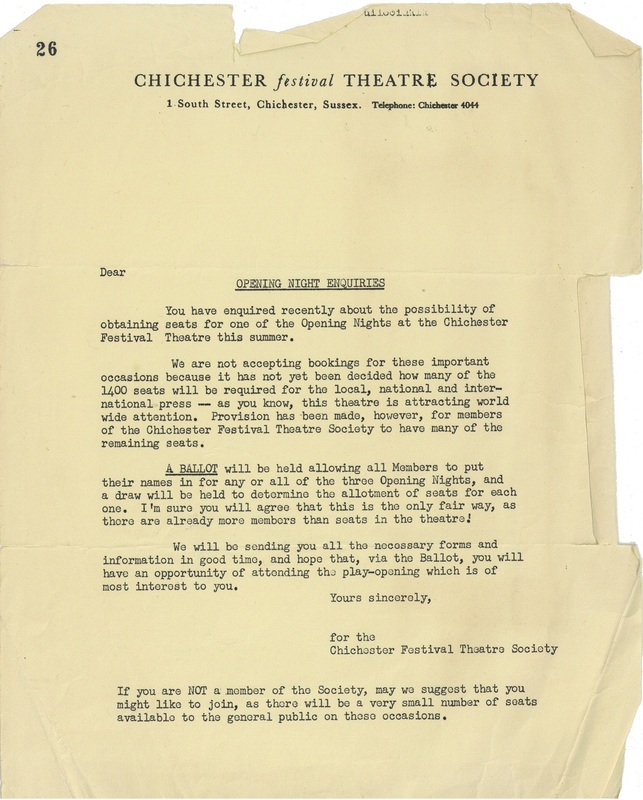 There was a display in the Chichester Festival Theatre shop at the Market Cross in the centre of Chichester. 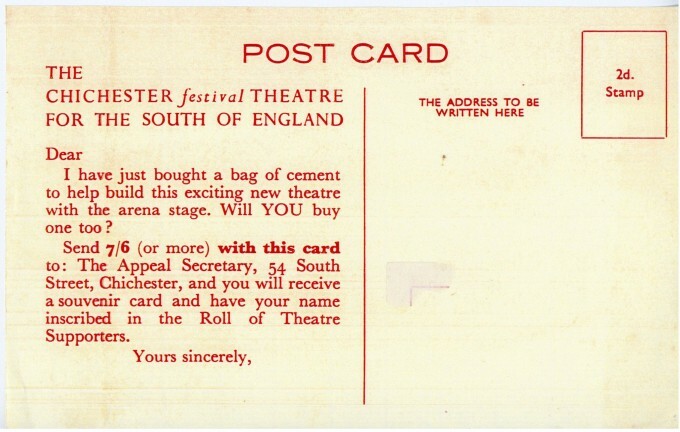 When someone brought a bag of cement they were given a card like this one to pass to a friend.